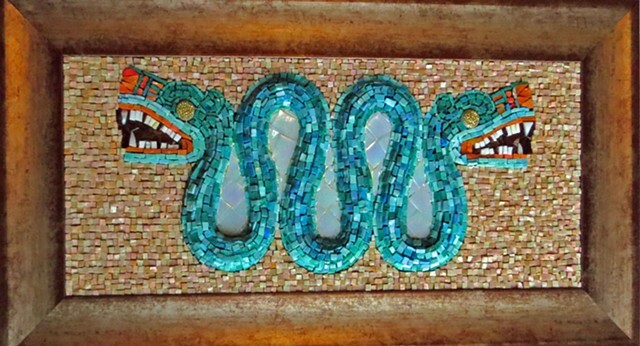 This is a replica of the Aztec double headed Serpent I saw at British Museum. It has a value core frame which is less in weight than wood frames. The price includes shipping anywhere in the US. Give four weeks for delivery by UPS or FedEx. If you pick it up in person I will subtract the shipping from the price.